Our Water Soluble Degreaser quickly and safely eliminates built-up oil, grease and grime on metal, plastic, rubber and seals. 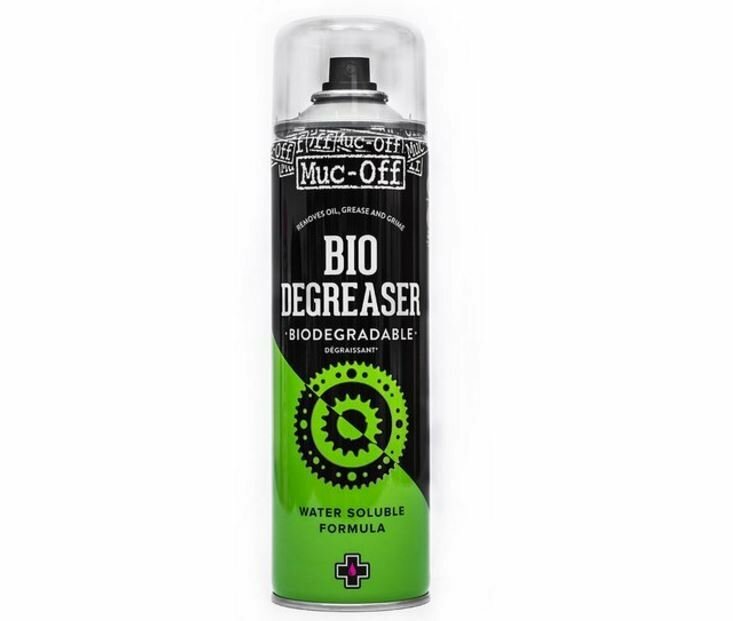 Its unique, biodegradable formula means that after use it can be quickly rinsed away with water to leave your greasy RC Car parts completely clean. The Muc-off R&D team put in the hours to make sure the Water Soluble Degreaser works on even the toughest of grime including waterproof grease and bearing, shock and differential oil residue! Step 1 - Shake can to activate formula and apply to selected area for cleaning. Step 2 - Leave up to 5 minutes and use a brush or cloth to agitate stubborn grease, grime and other contaminants. Step 3 - Rinse with fresh, clean water and allow to dry or wipe away any excess with a clean cloth.